How do you travel to one of the most expensive and luxurious cities in the world known for its high-end shopping and ultramodern architecture all while staying on a budget? Here are some of our travel budgeting tricks to get around Dubai’s deluxe prices. In a previous blog, “Make your dollar go further when you travel,” we shared nine tips on how to get the most out of your money on your vacation. Like, how you might want to consider going during the off-season, surfing for deals a little longer, and setting a budget. For the longest time, staying in a hotel was the only option when you traveled. But now we have a cool, new app on the market called Airbnb. If you’re not familiar, Airbnb is a home-sharing site that lets people find places to stay all over the world and it comes with perks. For one, the prices to stay can be drastically cheaper. At the time of this writing, you can get a premium apartment that sleeps 6 with a private garden in Dubai for $80 per night with a full kitchen. It’s interesting to think about if your hotel doesn’t have a kitchen, it could end up costing you an additional $8 to $10 per meal, according to priceoftravel.com. Look for a place to stay that is around a metro station. Prices are fairly cheap and you can get to major areas fairly easy. You can find more information on the stations here. Dubai recently also started a rental bike scheme. For a low cost, you can rent a bike for 30-minute blocks. What better way to get around for the health-conscious traveler than on a bike? You can take your time, avoid a crowded bus, eliminate extra costs and you get your workout in for the day. Visit the farmers market. This is a neat, free alternative to do with your travel buddy. The park has a great atmosphere and many unique things to see from local shops. The market takes place every Friday from 9 am to 5 pm at Zabeel Park. Besides, this location includes three sections: A, B & C, and each one of these sections provides different forms of entertainment and services. Shop one of the most fun-packed malls, The Dubai Mall, in one of the most luxurious cities in the world with fantastic built-in attractions such as The Dubai Fountain, KidZania, At the Top, Burj Khalifa, Dubai Aquarium and much more! Of course, we can’t forget about the beach! 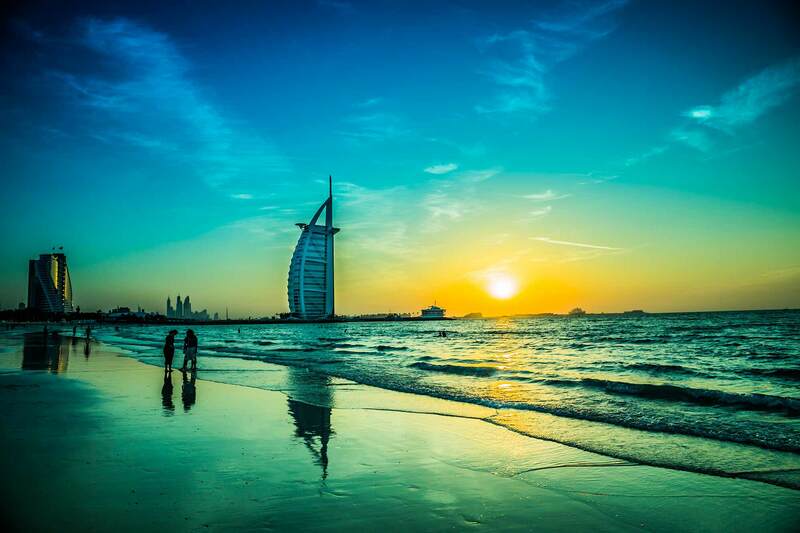 com says, “Experience an Arabian beach holiday on Dubai’s iconic stunning shorelines. Clear blue water, golden sands and a vibrant seaside gastronomy scene mean plenty of places to dig your toes into the sand”. Where do you look to save once you’ve run out of money-free attractions? If you have never heard of the Groupon app, then it’s time to get up to speed. Groupon searches the internet for deals and coupons for just about anything imaginable. Whether you are looking for a short getaway or a long excursion, these travel tips will help you have a great time and keep your budget tight on your Dubai vacation. Getting away can be easy, but getting the cash can be hard. Consider a personal loan. Personals loans are a great way to get quick access to funds and you can even improve your credit score in the process.